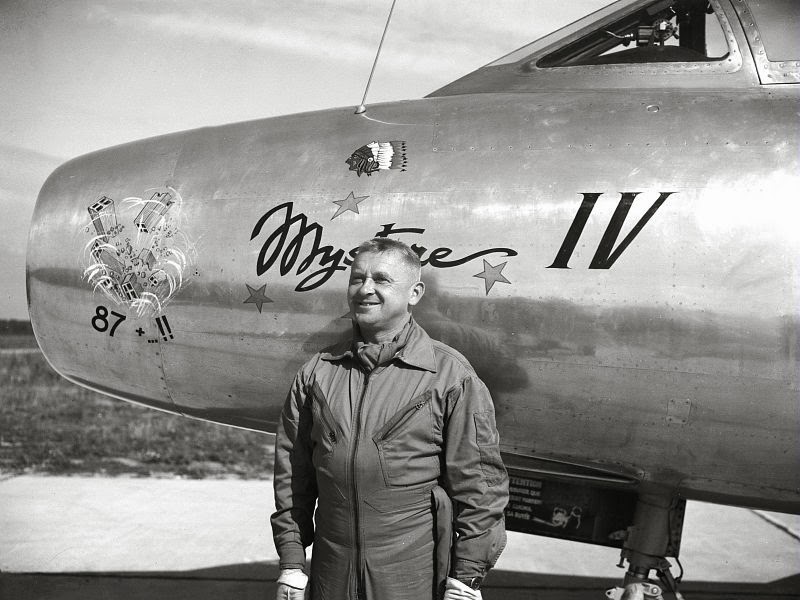 23 February 1951: At Istres, France, Société des Avions Marcel Dassault chief test pilot Konstantin Wladimir (“Kostia”) Rozanoff made the first flight of the Mystère MD.452 prototype, F-WFUU, c/n 01. This was a development of the Dassault Ouragan MD.450 with the wings’ leading edge swept from 14° to 30°. It was powered by a Rolls-Royce Nene turbojet engine. Rozanoff believed, though it was not confirmed, that he had broken the Sound Barrier. 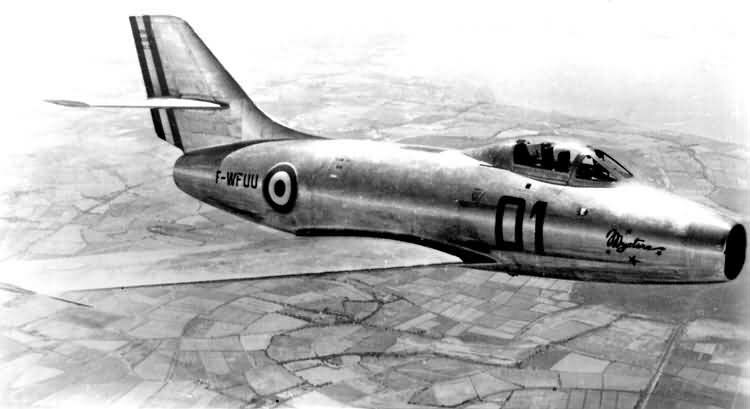 A series of prototypes were built before the fighter bomber was put into production as the Mystère IIC. 171 were built between 1954 and 1957. The Mystère IIC was a single seat, single engine turbojet-powered fighter bomber produced for the Armée de l’Air. It was 38 feet 6 inches (11.735 meters) long with a wingspan of 42 feet, 9 inches (13.030 meters) and overall height of 14 feet (4.267 meters). The fighter had an empty weight of 11,495 pounds (5,214 kilograms) and maximum takeoff weight of 16,480 pounds (7,475 kilograms). The powerplant was a SNECMA ATAR 101D-1 turbojet which produced 6,610 pounds of thrust (29.403 kilonewtons). 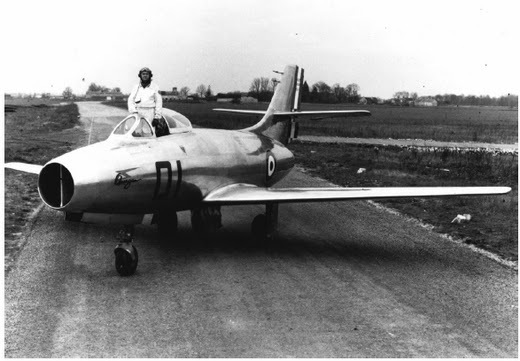 The maximum speed of the Mystère IIC was 660 miles per hour (1,062 kilometers per hour). Its range was 550 miles (885 kilometers) and the service ceiling was 50,000 feet (15,240 meters). The MD.452 was armed with two Direction des Études et Fabrications d’Armement (DEFA) 30mm revolver cannon with 150 rounds of ammunition per gun, and up to 2,000 pounds (907 kilograms) of bombs. The prototype Dassault Mystère, F-WFUU, crashed at Istres 3 March 1953 when a wing tip fuel tank broke away and struck the airplane’s tail, killing test pilot Charles Monier. 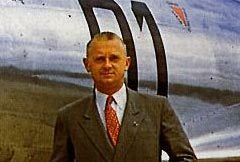 Kostia Romanoff was killed 3 April 1954 while demonstrating a Mystère IVB. 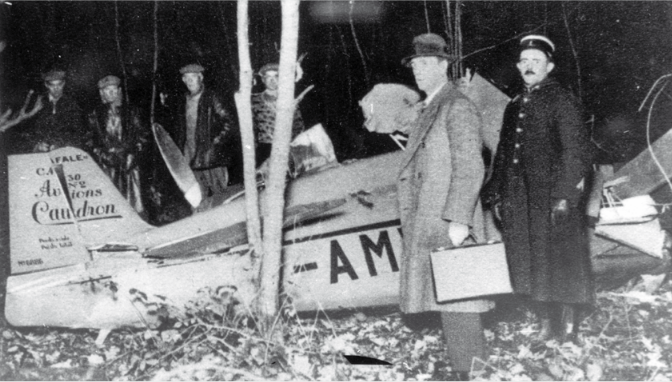 30 November 1934: While flying her new Caudron C.430 Rafale near Guayancourt, France, Hélène Boucher crashed into a forested area at Voison-le-Bretonneaux. Apparently, the airplane stalled while on landing approach, rolled, and then hit the trees. The airplane was destroyed and Mlle Boucher was critically injured. She died while en route to a hospital at Versailles. She was just 26 years old. Hélène Boucher’s funeral was held at Chapelle des Invalides, the first time that a woman had been so honored. Posthumously, the government of France awarded her the Croix de Chevalier de la Légion d’Honneur. She is buried at the cemetery in Yermenonville. 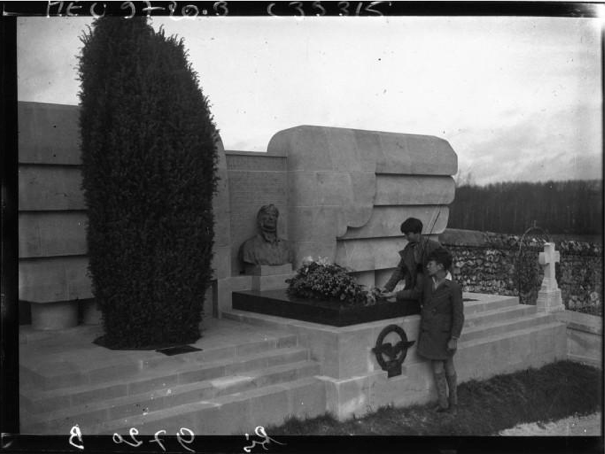 Hélène Antoinette Eugénie Boucher was born at Paris, France, 23 May 1908. She was the daughter of Charles Léon Boucher, an architect, and Élisabeth Hélène Dureau Boucher. Following World War I, Hélène attended high school at the Lycée Montaigne and then the Collège Sévigné, both in Paris. Mlle Boucher learned to fly at the Aero Club of Landes, Mont-de-Marsan, making her first flight on 4 July 1930. She quickly earned a tourist pilot license. The Aero-Club de France awarded her its pilot certificate number 182. 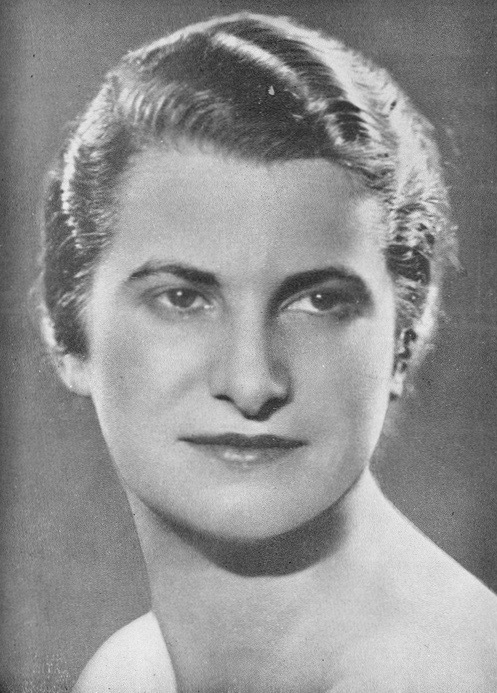 In 1932, Hélène Boucher qualified for a public transport license. 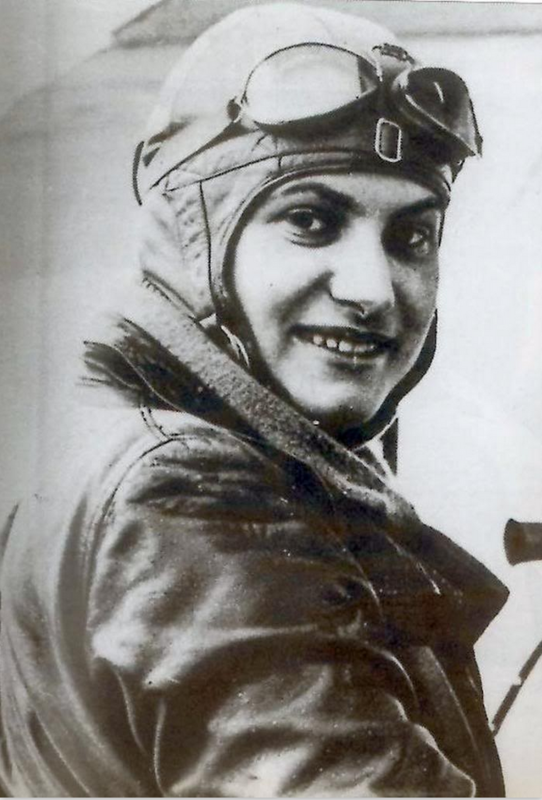 Mlle Boucher participated in a number of international and long distance air races, such as the Raid Paris-Saigon in 1933. She specialized in aerobatics and her performances made her a popular figure at air shows. Hélène Boucher’s Caudron C.430 Rafale, F-AMVB. 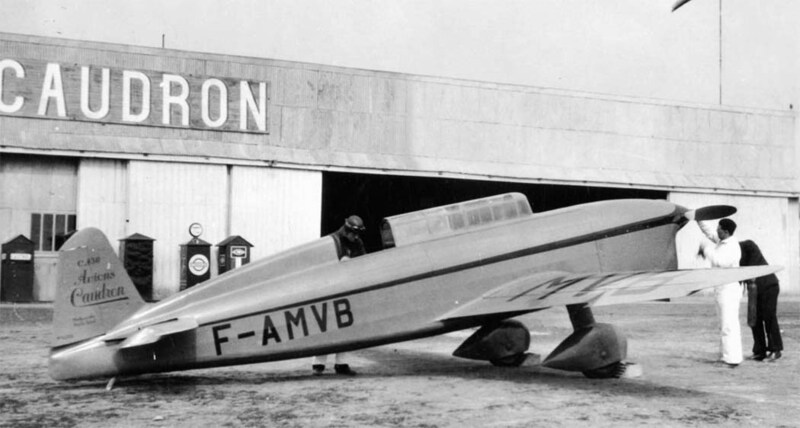 F-AMVB was the second of two specially-built Société Anonyme des Avions Caudron C.430 Rafale racing airplanes, c/n 02/6886. (Rafale means gust: “a brief, strong, rush of wind.”) It was registered 18 October 1934 (Certificate of Registry 3947). The C.430 was a single-engine, two-place, low-wing monoplane with fixed landing gear. The airplane was constructed of wood, with the fuselage, wings and tail surfaces covered with plywood. Fuel was carried in two tanks in the fuselage, one forward of the cockpit and another placed between the pilot and passenger positions. The wings had no dihedral and were equipped with split flaps. The Caudron C.430 was 7.100 meters (23 feet, 3.53 inches) long with a wingspan of 7.700 meters (25 feet, 3.15 inches)and height of 1.88 meters (6 feet, 2.02 inches). The total wing area was 9 m² (96.9 square feet). Its empty weight was 480 kilograms (1,058 pounds) and gross weight, 820 kilograms (1,808 pounds). The C.430 had a maximum fuel capacity of 160 liters (42 gallons), and 16 liters (4 gallons of lubricating oil. The airplane was powered by an air-cooled, normally-aspirated 6.333 liter (386.463 cubic inch) Renault Bengali 4Pei inverted four-cylinder overhead-valve (OHV) engine with a compression ratio of 5.75:1, rated at 130 cheval-vapeur (128.3 horsepower) at 2,300 r.p.m., and 150 cheval-vapeur 148.0 horsepower) for takeoff. 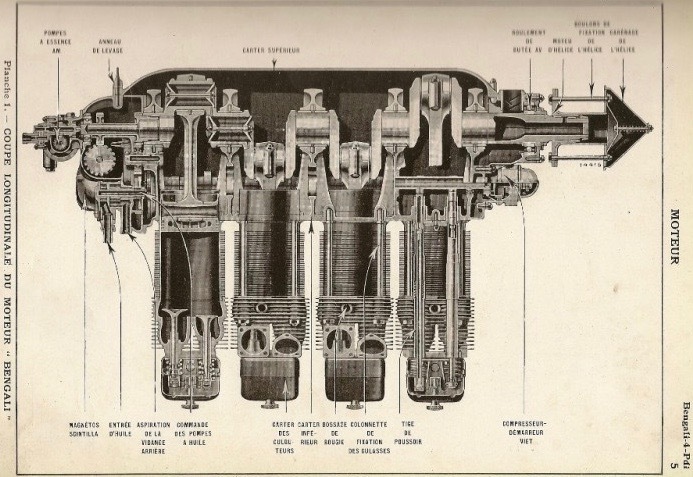 This was a direct-drive engine, turning a two-bladed, metal Hélices Ratier variable-pitch propeller. The 4Pdi was 1.28 meters (4 feet, 2.4 inches) long, 0.93 meters (3 feet, 0.6 inches) high and 0.52 meters (1 foot, 8.5 inches) wide. It weighed 135 kilograms (298 pounds). This gave the C.430 a cruise speed of 260 kilometers per hour ± 5% (153–170 miles per hour) and maximum speed of 305 kilometers per hour ± 5% (180–199 miles per hour) at ground level. The service ceiling was 5,750 meters ± 250 meters (17,922–19,808 feet) and range was 1,000 kilometers (621 miles). The remaining Caudron C.430 Rafael, c/n 01, F-PJHB, is in at Musée Régional de l’Air, Angers Loire Aéroport, Marcé, Pays de la Loire, France, painted as Mlle Boucher’s blue and red racer with her registration markings, F-AMVB.